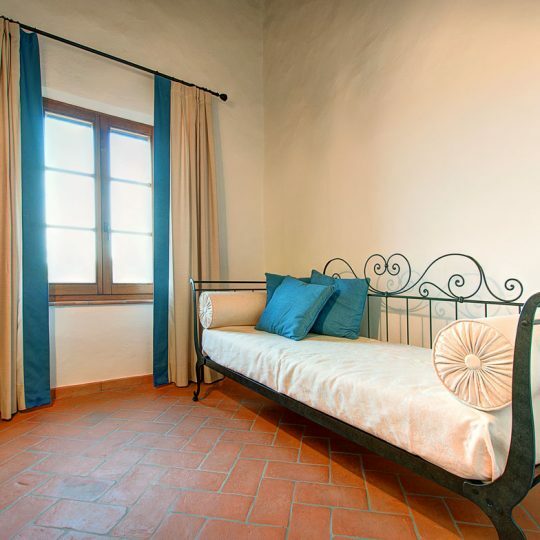 Located in the first floor, this bright and spacious ambience keeps the typical Tuscan structure, while having all the comforts of the modern life. 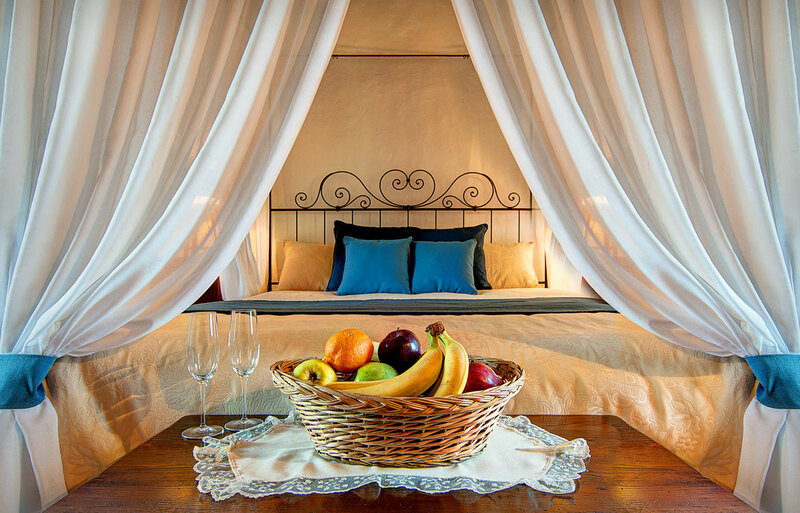 The wrought iron canopy bed, with an ancient flavor, exalt the space. 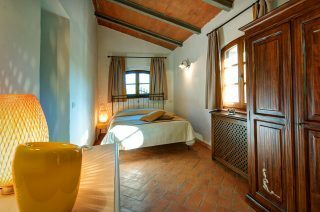 You can admire the most amazing view from its window: the typical scenery of Tuscan highlands giving the warm and relaxing atmosphere in every season. 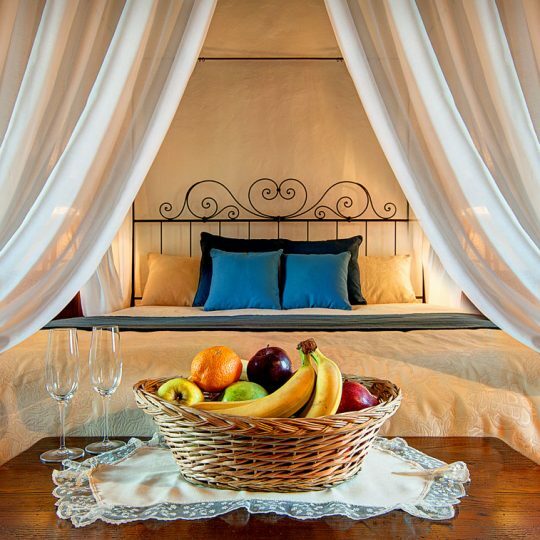 The breathtaking sunrises and sunsets, will astound you. 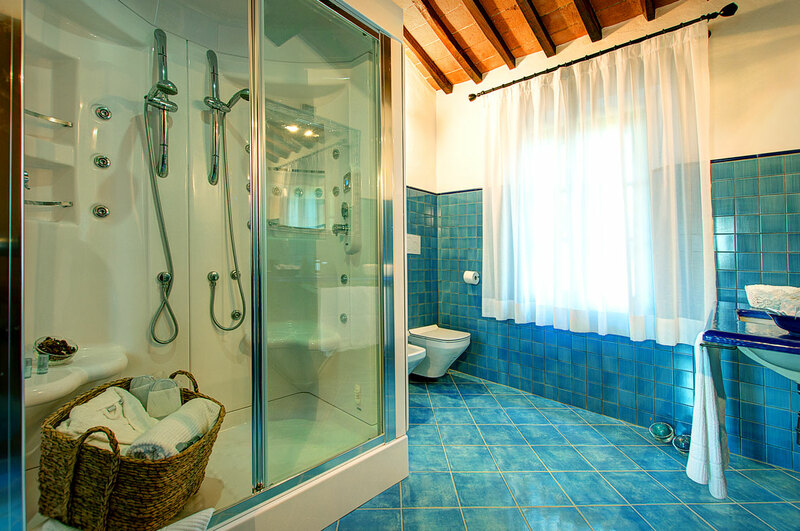 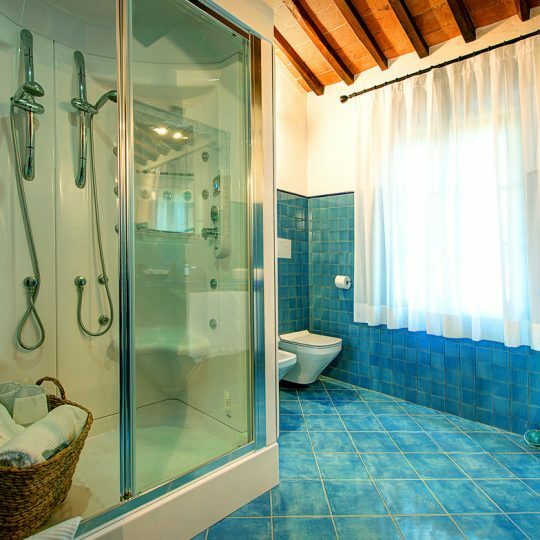 The suite includes the deluxe restroom facilities, including hydromassage shower box (tresse acquazzurra) and the admirable blue Vietri ceramic ® finishing. 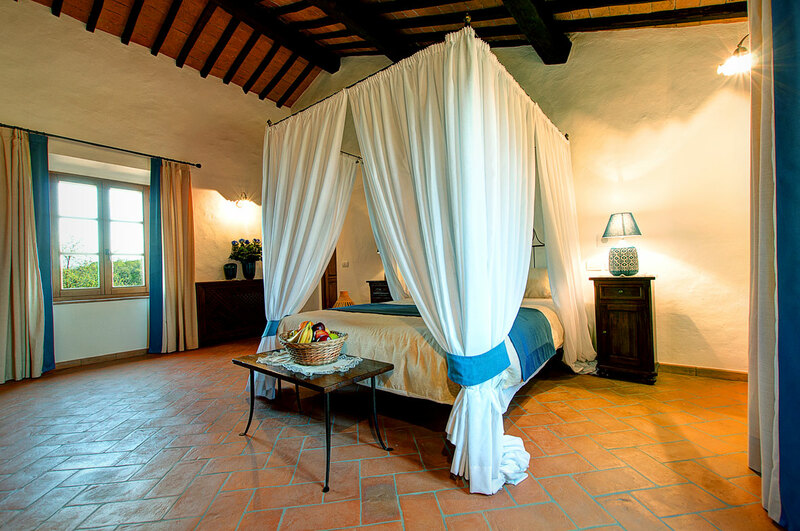 The room, of smaller dimensions and with an independent entrance to the garden, has a charming Tuscan feeling that will transport you to the unique Tuscan life. 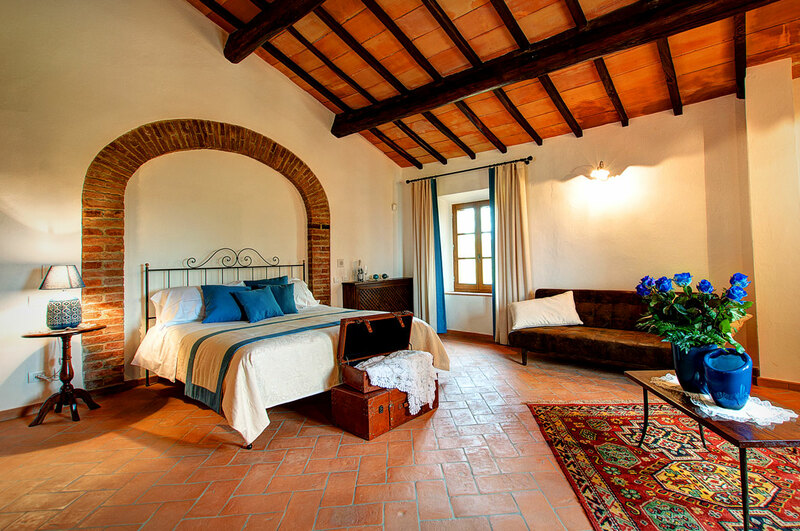 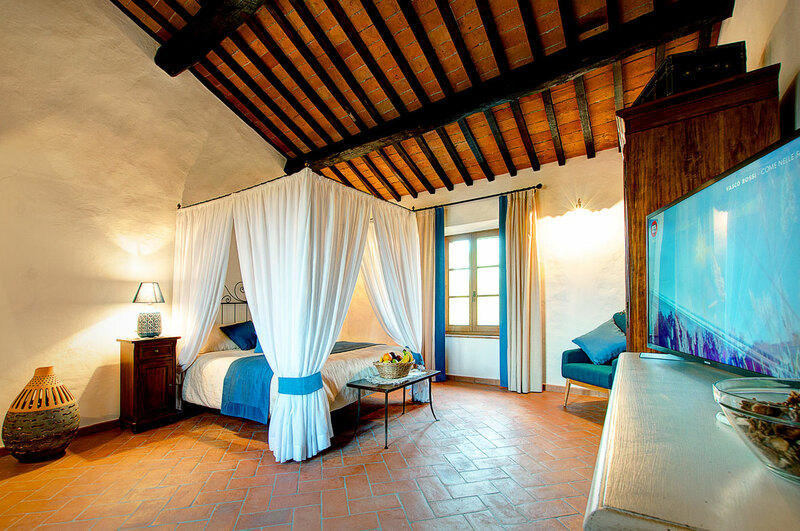 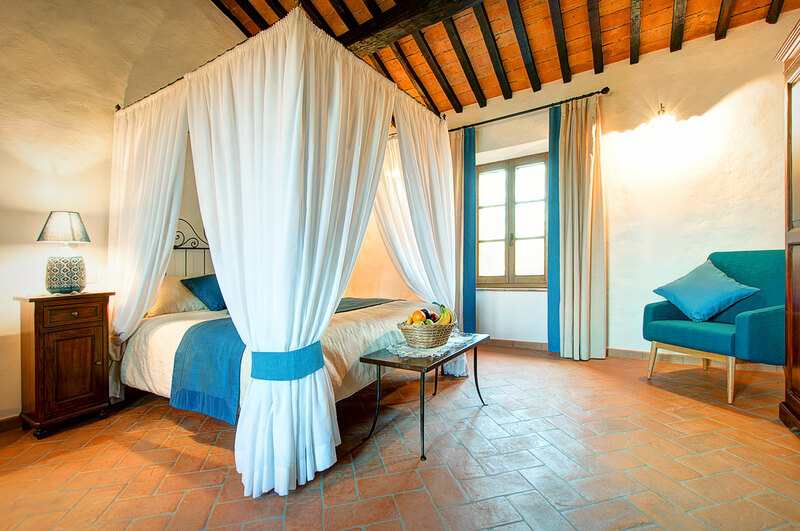 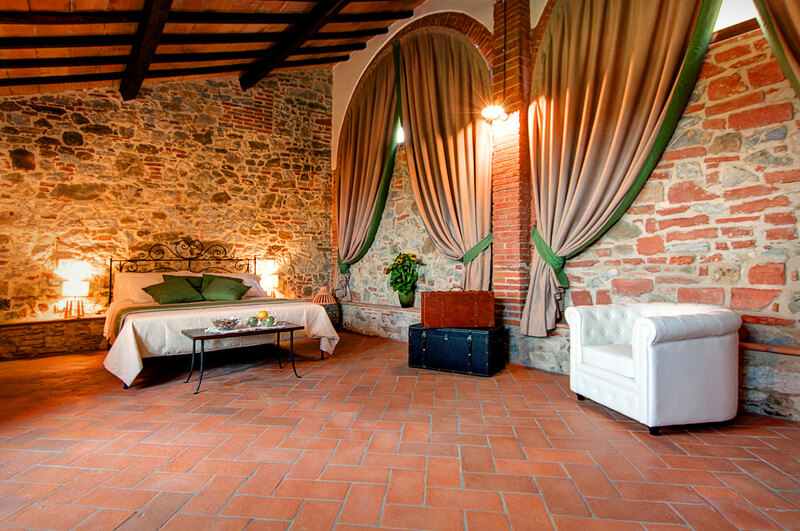 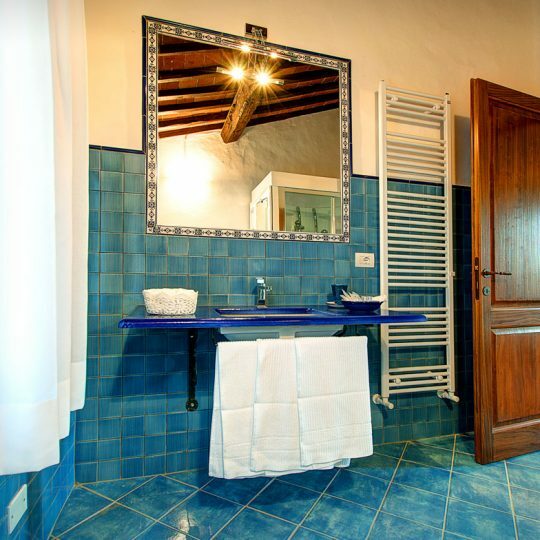 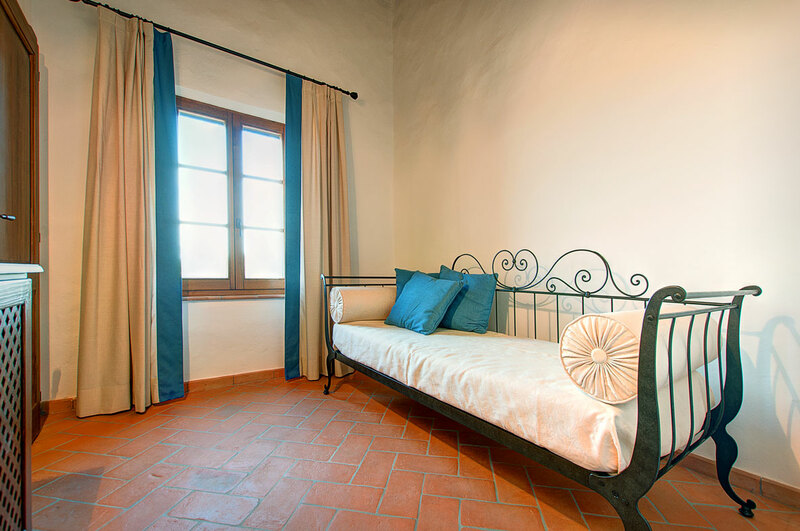 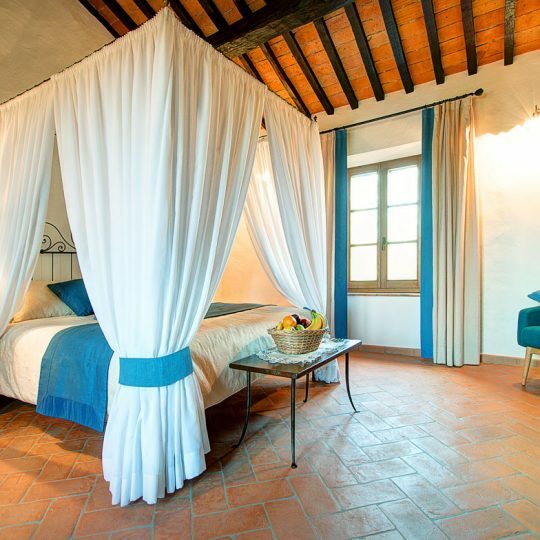 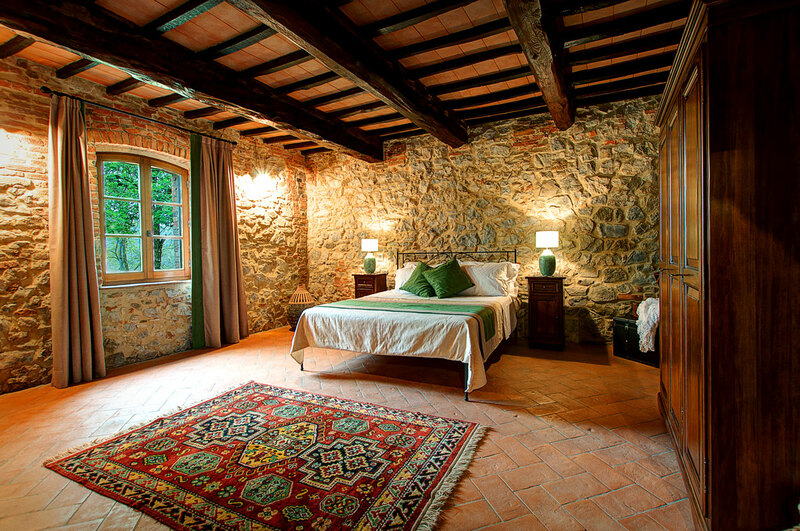 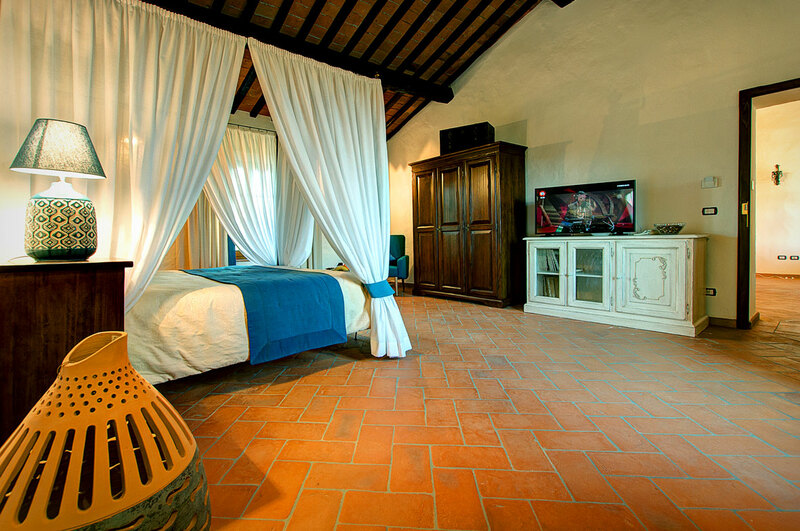 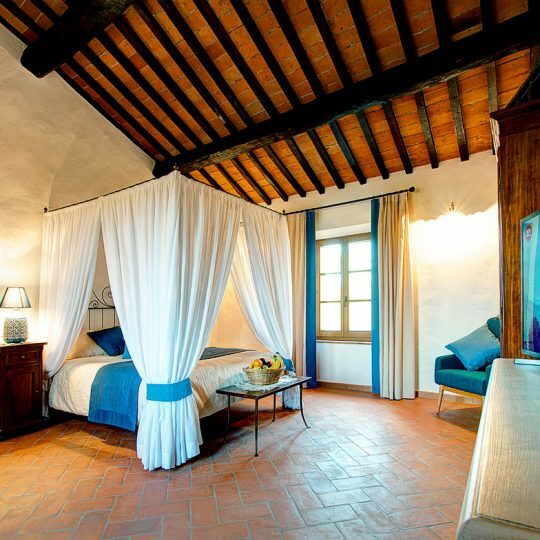 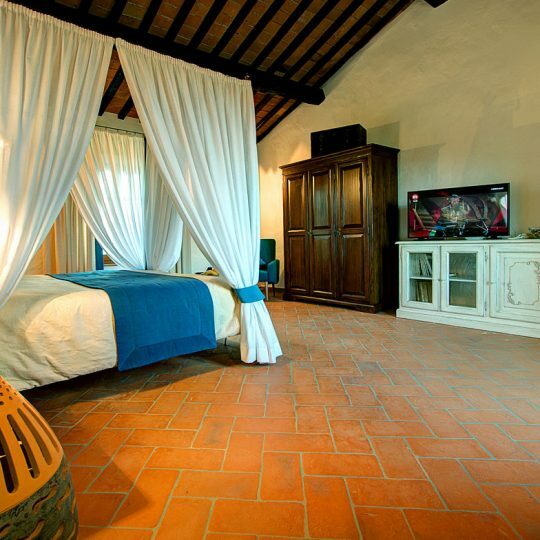 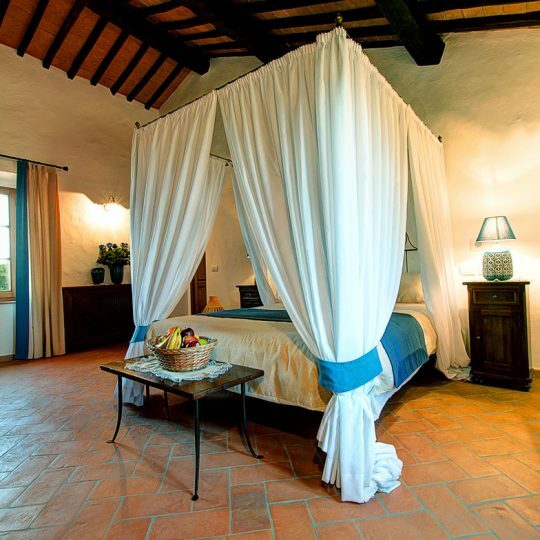 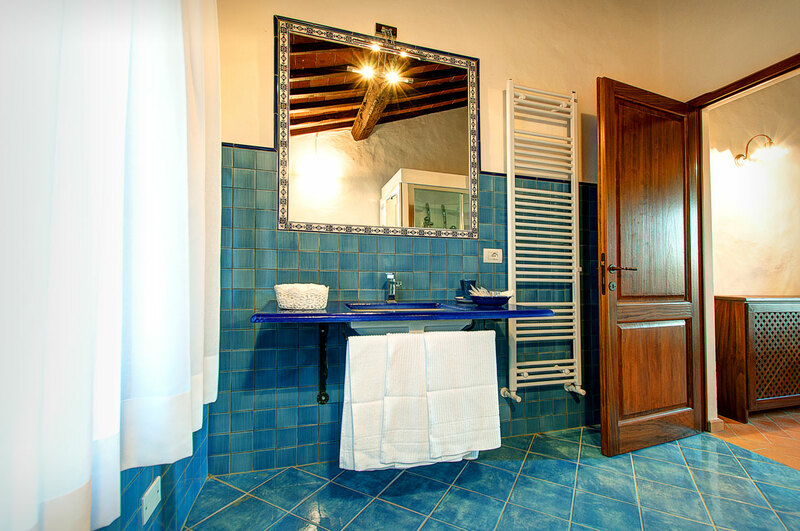 Refined in the typical Tuscan style, ensures a pleasant and relaxing stay.